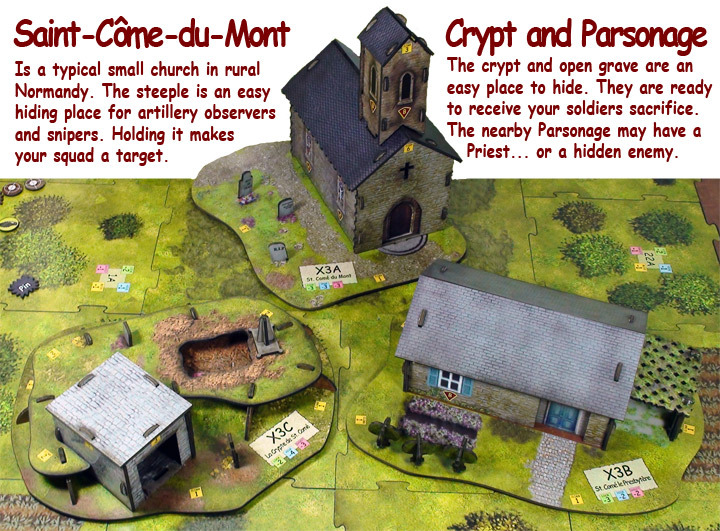 Saint-Côme-du-Mont is a collection of X-Terrain suitable to add a small stone church to your games. The church steeple is an excellent place for look outs and snipers. 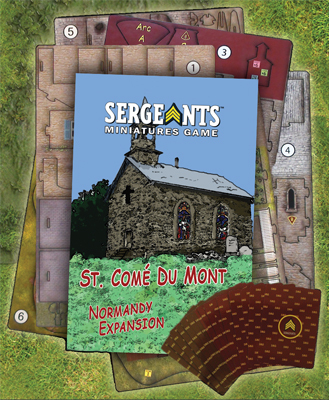 And the stone construction of both the church and parsonage will make it necessary to go in and clean the enemy out.